Rossi & Santucci Funeral Home - Youngstown Order By Phone (800) 395-0295 Share Ronald L. Cannon''s Life: Ronald was born on January 12, 1942 and passed away on Sunday, June 5, 2016. 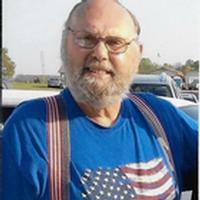 Ronald was a resident of Columbiana, Ohio at the time of his passing. Cannon Ball served his country proudly in the United States Marines where he earned the rank of PFC (E-2) and was stationed throughout the world. His military occupation was heavy equipment operator/engineer and he was awarded the Good Conduct Medal. He received Honorable Discharge on April 1, 1963. He was married to Donna M. Quinn.